At Land Rover of Albuquerque, we run on customer commitment and satisfaction. We take pride in helping our Land Rover customers drive off in the model that’s perfect for them, from the time they’re choosing the right Rover, to maintaining maintenance years down the road. Purchasing your next vehicle means finding the one that’s perfect for your lifestyle and daily driving needs. At Land Rover of Albuquerque, we offer a variety of models that contain different features for your safety and convenience. We also provide our entire inventory online, so you can get the full details on our Land Rover models before you arrive in our showroom. It’s our way of helping you get a head start on your vehicle research, and getting you ready for a test drive even sooner. When you purchase a Land Rover with us, our expert finance team will be with you each step of the way, helping you find the loan that works best for your budget. We want to make sure you’re completely comfortable with the numbers in front of you before you drive off the lot in your new vehicle. With our finance team, plus our trusted relationships with banks and lenders in the area, you can rest assured you’ll be in great hands when choosing how you want to finance your Land Rover. Plus, we’ll explain any financial lingo or terms that might seem confusing, so you’ll be in-the-know during the entire process. By filling out our finance application online, we can get you in your new Land Rover even sooner. Just fill out some quick information right in the comfort of your own home, and we’ll have it processed and ready to go by the time you arrive. When you purchase a vehicle with us at Land Rover of Albuquerque, our customer service doesn’t end after you sign the papers. We want to ensure your vehicle is always running like new, and we do so by providing an auto service center right on site. No matter what your maintenance issues might be, our experienced and knowledgeable auto technicians can handle any problem you present. You can also schedule service at any time with our online appointment form, and we’ll be in touch to confirm your date and time. We also have a parts center for any Land Rover parts you’ll need when fixing your vehicle issues at home. You can request parts online, as well, and we’ll have them ready for you right away, or we can order them if we’re out of stock. 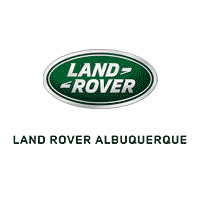 If you are in the areas of Albuquerque, Rio Rancho, or South Valley, contact us at Land Rover of Albuquerque and see for yourself what sets our dealership apart from the rest.